Brad is very dedicated and hard working. He has helped up keep our computers running for years. Thanks to Brad and his wife who assists by phone. "We have used Brad and Deb for several years. They always are there to get us out of a jamb. Even when others say no way!" 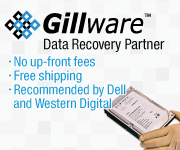 "Brad and Deb rescued my laptop from a BIG crash now it's faster than its ever been. They're so friendly and helpful and I highly recommend Home PC Patrol!" "We would highly recommend Brad and his company. We have had a couple issues that needed immediate attention and Brad was right on it! He kept our business running!" "I am happy to recommend Home PC Patrol... Very friendly, fast, knowledgeable and fair pricing... What more could you ask for?" "Brad and Deb have been servicing my computer since 2009 ... and when they do routine maintenance, my computer is like brand new." "Thanks Brad for removing that nasty virus from one of our work laptops. Great job."